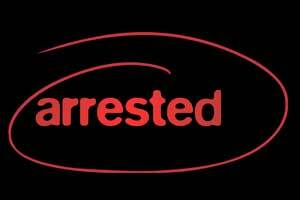 Srinagar: Jammu and Kashmir police has arrested two people for misappropriating of medicines supplied to government-run Jawaharlal Nehru Memorial (JLNM) hospital at Rainawari, a police spokesman said here on Monday. He said on Sunday police station Rainawari in the downtown received a tip-off that some government employees of JLNM Hospital Rainawari are misappropriating the Government supply medicines and are selling them to some medical shopkeepers. On receiving this information, an FIR was registered in Rainawari police station and investigation was taken up, he said. During investigation two employees identified as Shakeel Ahmad Shahid (50), a resident of Housing colony Bemina, working as pharmacist and Shameem Ahmad Khan (19), a resident of Khanpora Beerwah Budgam, sweeper of the hospital, were questioned and on their disclosure four boxes of medicine were recovered. Subsequently both the employees were arrested, he said. He said further investigation was going on and more arrests are expected in the case. Dear user, we've recently made some changes in our website to make it more secure & accessible. We request you to Reset your password in case you get any problem in logging in your account. Please click on the "account activation link" we have sent to your registered email. New User? Register here Forgot Password? Password Update link has been sent to your email. I agree the Terms and Conditions. Please click on the "account activation link" we have just sent to your registered email. Join Medical Dialogues, and get latest news from the medical profession throughout the country. Don't show this popup again.